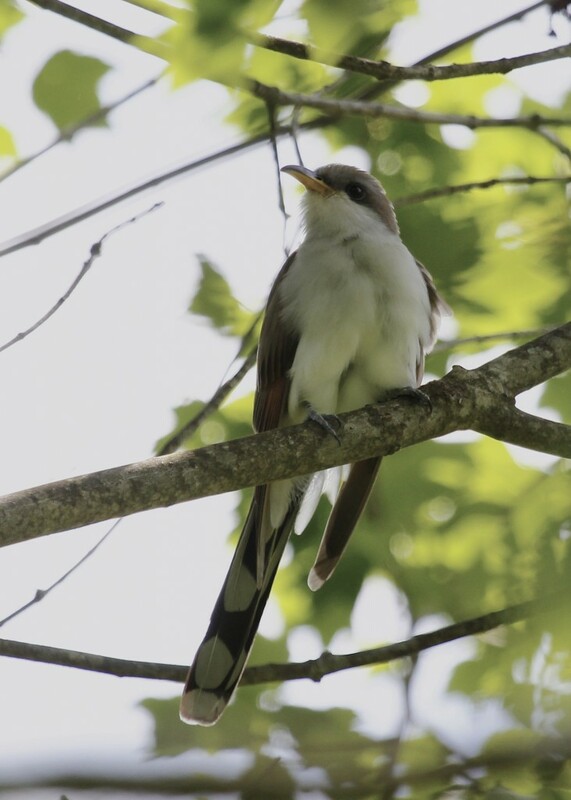 This is the bird I wanted to see more than any on this day – Yellow-billed Cuckoo at the Nature Trail, Basha Kill WMA 5/26/13. 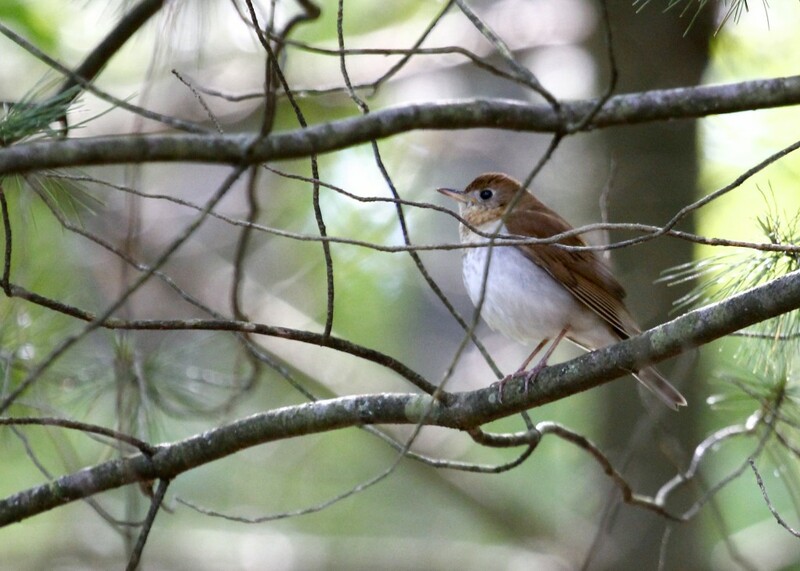 Veery at the Stop Sign Trail, Basha Kill WMA 5/26/13. Conditions were really low light for this photo, so it is a bit noisy and soft but I still felt it was worth posting. Our next stop was the Main Boat Launch to see how the Nature Watch folks were doing. It was really windy there, but we enjoyed some good conversation with Maura and Bob Muller who were volunteering for the morning shift and saw one adult Bald Eagle and we watched the young Bald Eagles on the nest jumping and flapping their wings like mad, getting in as much practice as possible for that first flight that should happen in about a month or so. Our final destination of the day was the Nature Trail, where we saw plenty of Warbling Vireos, Yellow Warblers, Common Yellowthroats, American Redstarts, Rose-breasted Grosbeaks, and Baltimore Orioles. 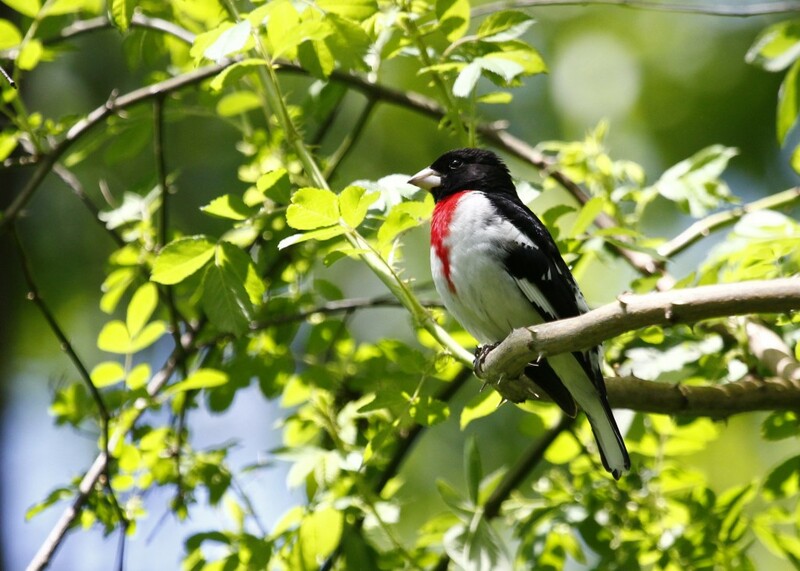 Rose-breasted Grosbeak at the Nature Trail, 5/27/13. 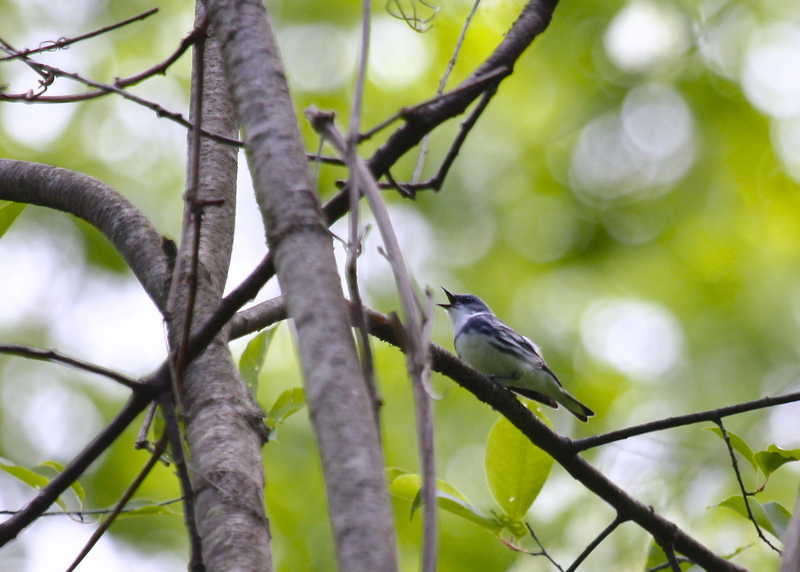 A singing Cerulean Warbler at the Nature Trail, 5/26/13. The highlight of the day for me, though, was certainly the Yellow-billed Cuckoo. This was the bird I went out looking for today, and to actually see it AND be able to get a photo was amazing. At the end of the day we had identified 40 species. What an awesome day of birding, honestly, it brings me great joy! 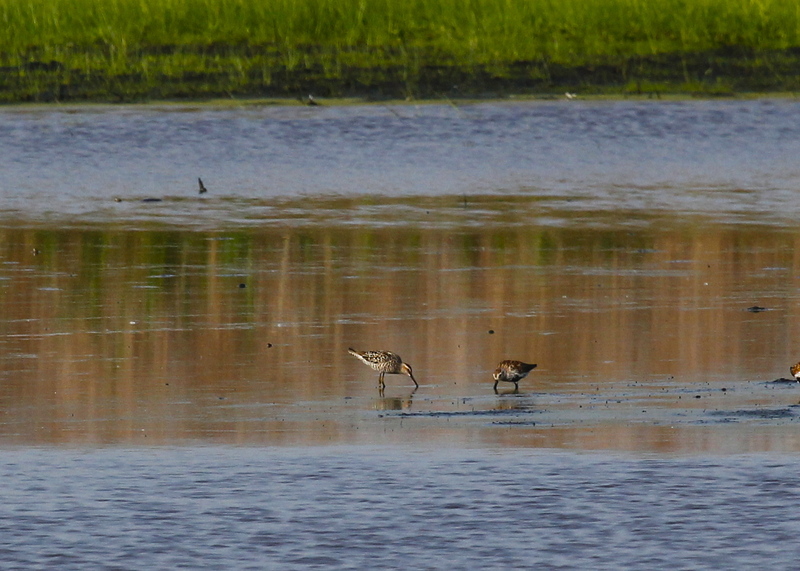 Stilt Sandpiper (left) and a Dunlin (right) at Wallkill River NWR 5/22/13. 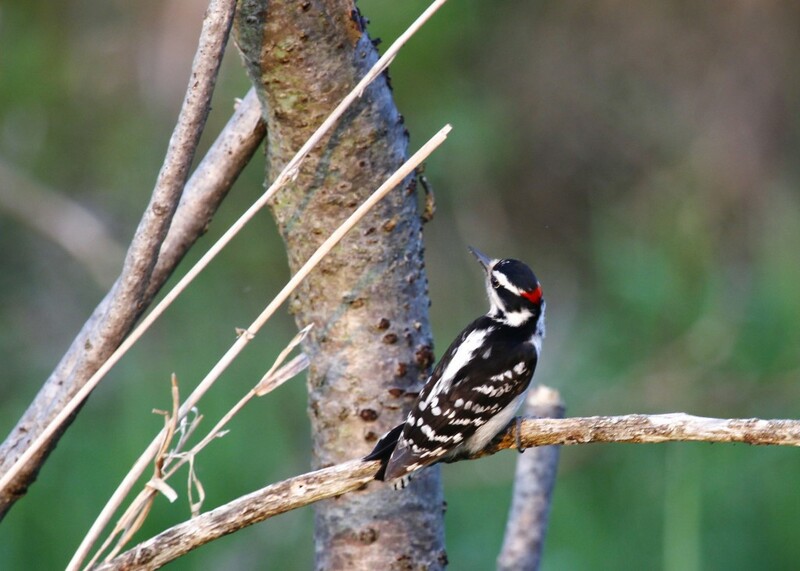 Downy Woodpecker at Wallkill River NWR 5/22/13. 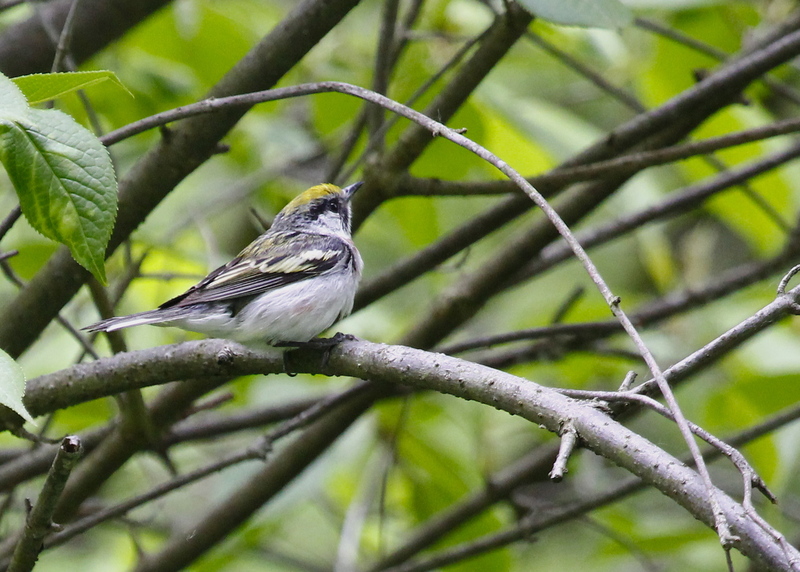 Chestnut-sided Warbler at the Stop Sign Trail at the Basha Kill, 5/18/13. 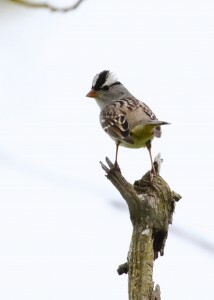 This was one of the highlights of the morning for me, one of two White-crowned Sparrows at the Deli Fields, 5/18/13. These little Yellow Warblers are everywhere right now, and I think they take nice photos. This one was at the Nature Trail, 5/18/13. 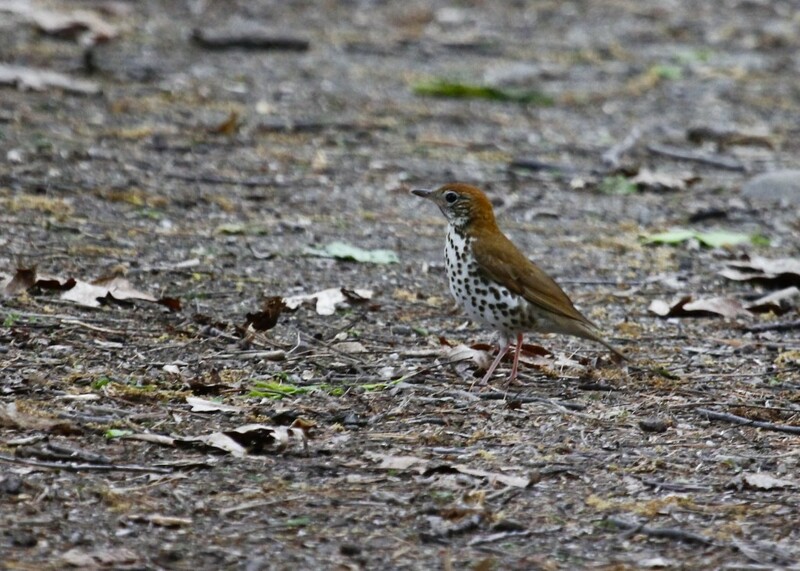 This was my first opportunity to photograph a Wood Thrush. This is a bit noisy and also a little soft because of the low light. Nature Trail, Basha Kill 5/18/13. 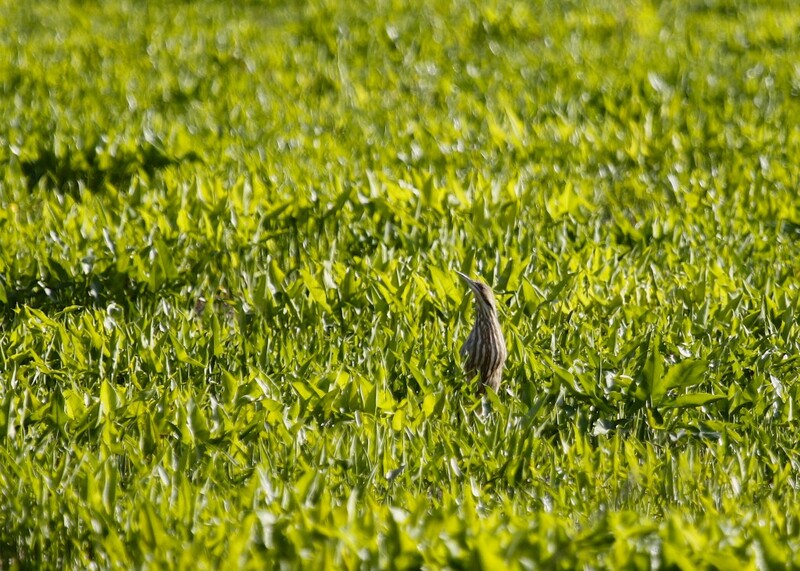 I had my first of season AMERICAN BITTERN shortly after arriving at Haven Road this morning. For a change, the bird was pretty easy to pick out in the sea of green. 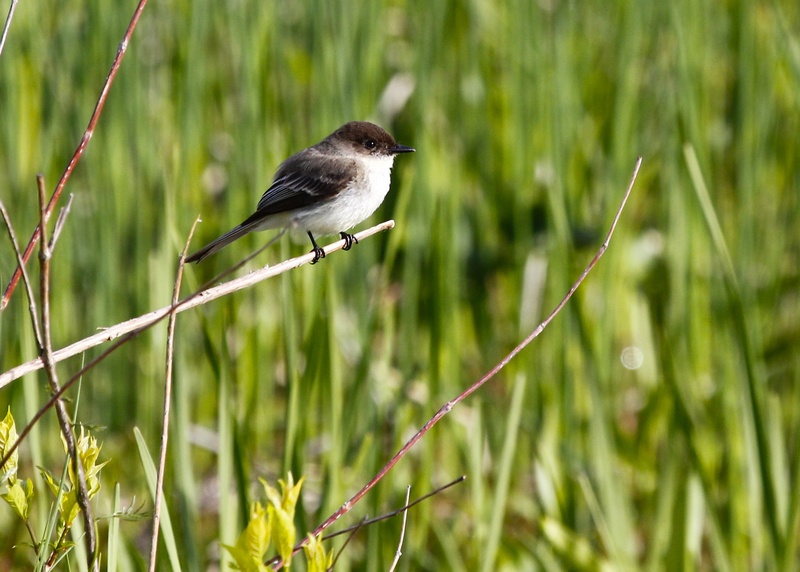 Always photogenic, Eastern Phoebe at Haven Road, 5/18/13. Here are ten more photos from our Colorado trip. Some are life birds, some birds we see at home all the time, all are photos that felt were worth sharing. 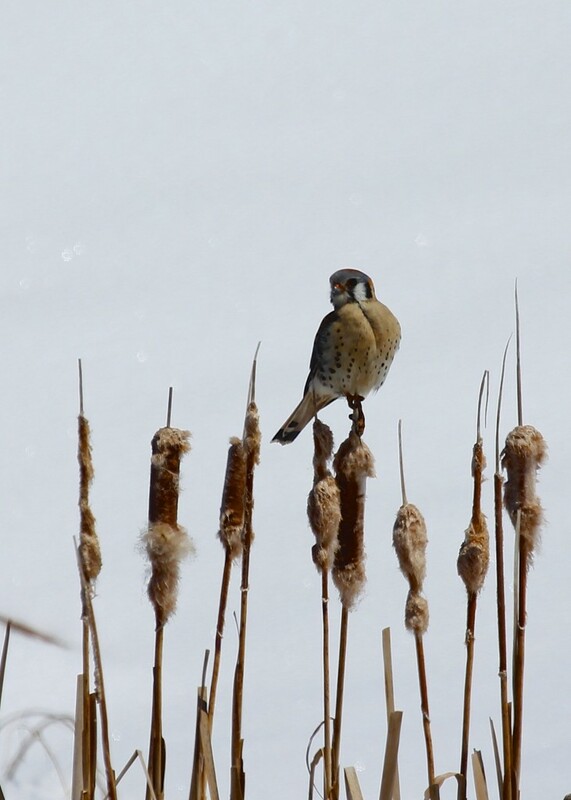 American Kestrels are numerous in the Fort Collins area. Posing on a cattail at Cathie Fromme Prairie, 5/2/13. 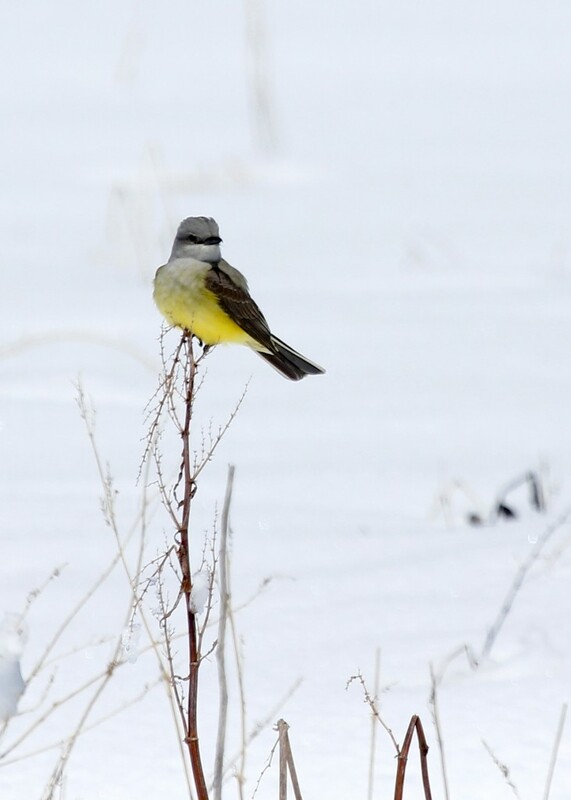 Western Kingbird in the snow at Cathie Fromme Prairie, 5/2/13. 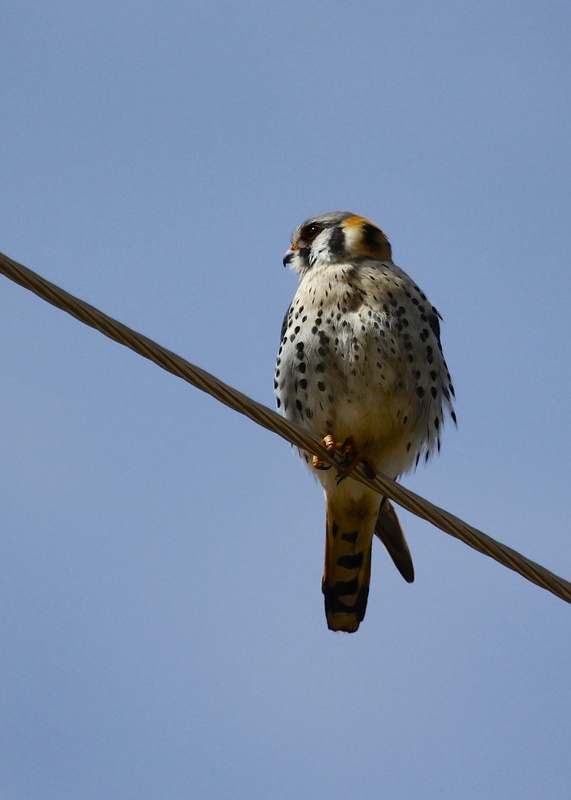 American Kestrel by Horsetooth Reservoir, Larimer County CO. 5/6/13. We pulled up alongside this bird and he never flew, I handed the camera to Tricia and she got a great shot. I love the detail in this photo. 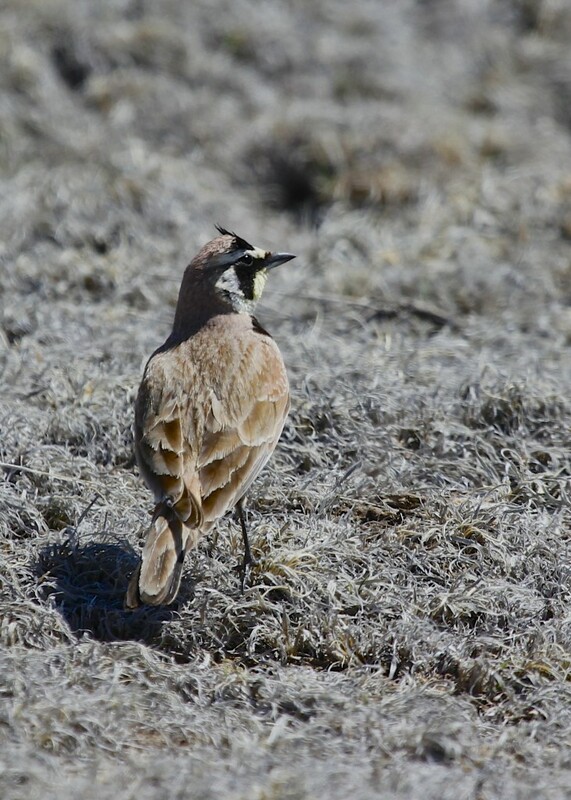 Horned Lark at Pawnee Grasslands, 5/3/13. This is the best look I’ve ever gotten of the “horns” of the Horned Lark. 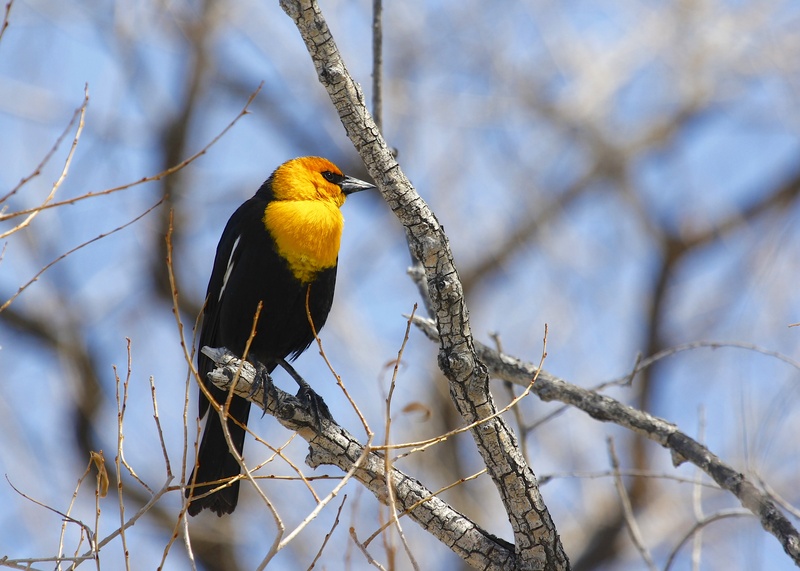 Yellow-headed Blackbird at Cattail Pond in Loveland Colorado, 5/2/13. 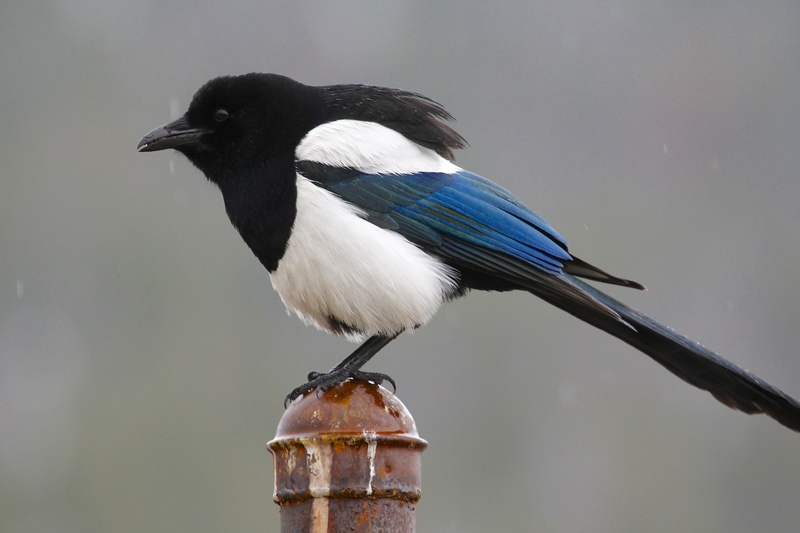 This Black-billed Magpie was so close I had trouble keeping the bird in frame. Rocky Mountain NP 5/5/13. 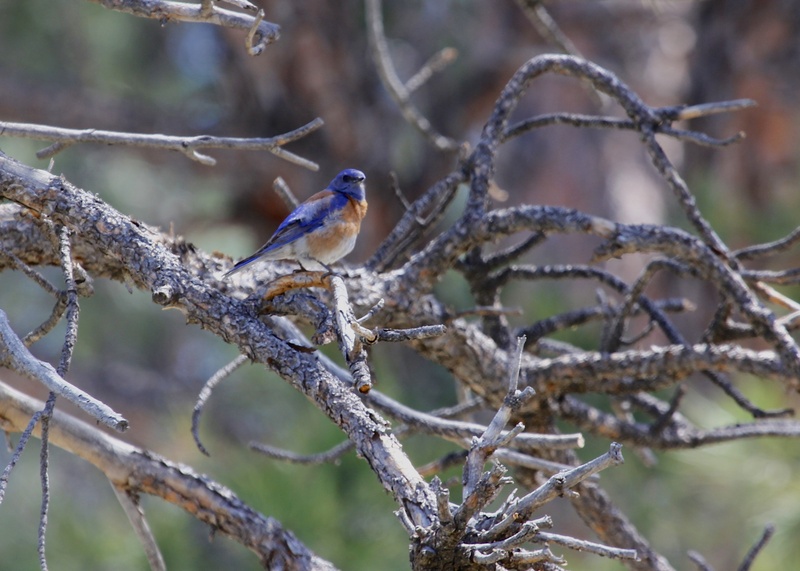 This image is a little soft but I like the bird – Western Bluebird at Chautauqua Park in Boulder Colorado, 5/4/13. 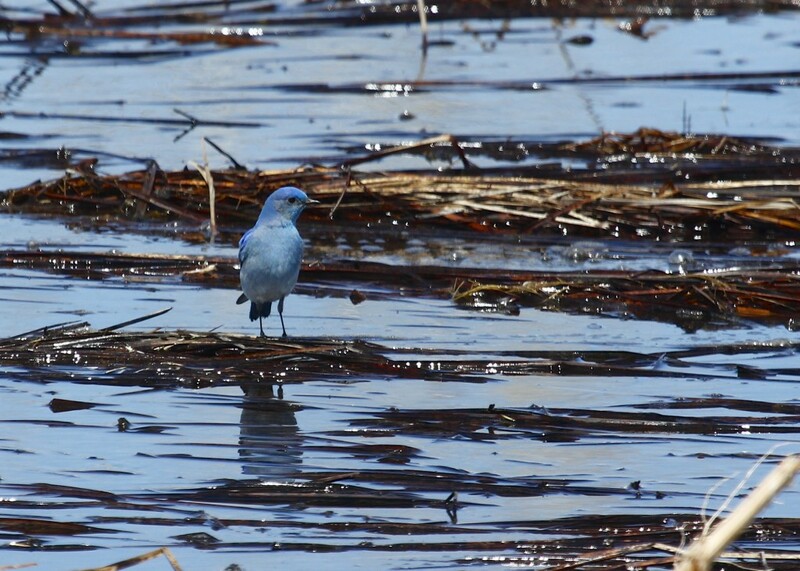 Male Mountain Bluebird at Cathie Fromme Prairie 5/2/13. 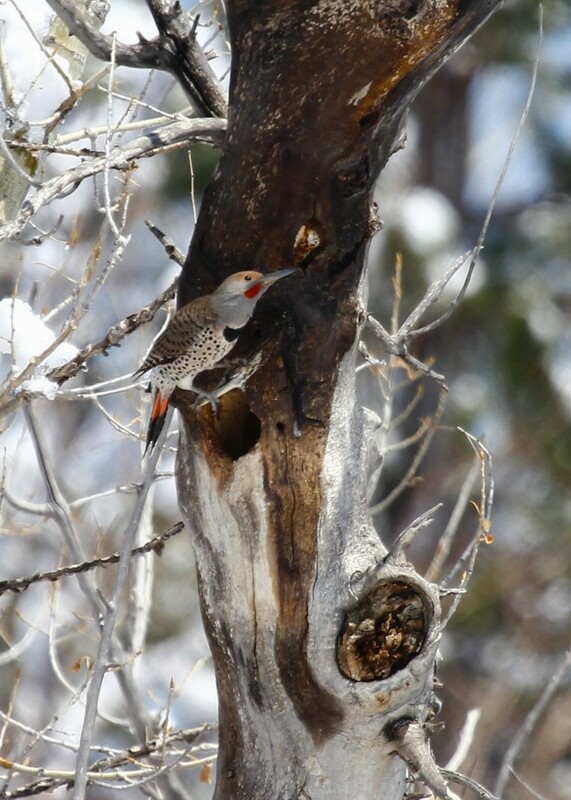 I would have liked to get a better shot of the red-shafted Northern Flicker. We saw many of them but this was my best shot. Cathie Fromme Prairie 5/2/13. This is my first photo of a Broad-winged Hawk that was not a speck in the sky. Bobcat Ridge in Fort Collins CO, 5/6/13. I went to Wallkill River NWR and walked the Liberty Loop this morning. 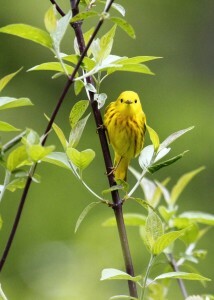 I went out primarily looking for warblers, but I only managed to find several Yellow Warblers and Common Yellowthroats. 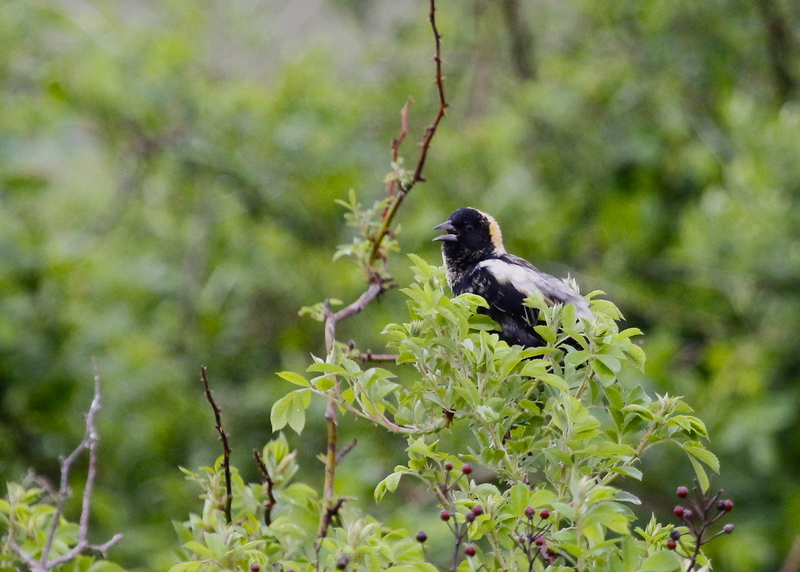 I was pleasantly surprised to find my first Bobolinks of the season, and to make it even better they were within decent photo distance. These photos are a bit noisy; I had the ISO very high because the morning was very gray. 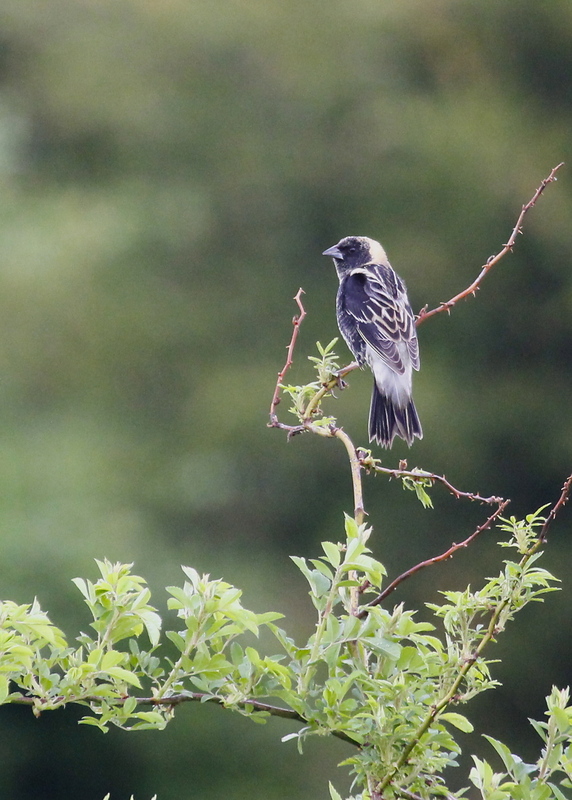 One of two Bobolinks seen at Wallkill River NWR, 5/11/13. Here’s another shot of the same bird with a closer crop. Two of two. 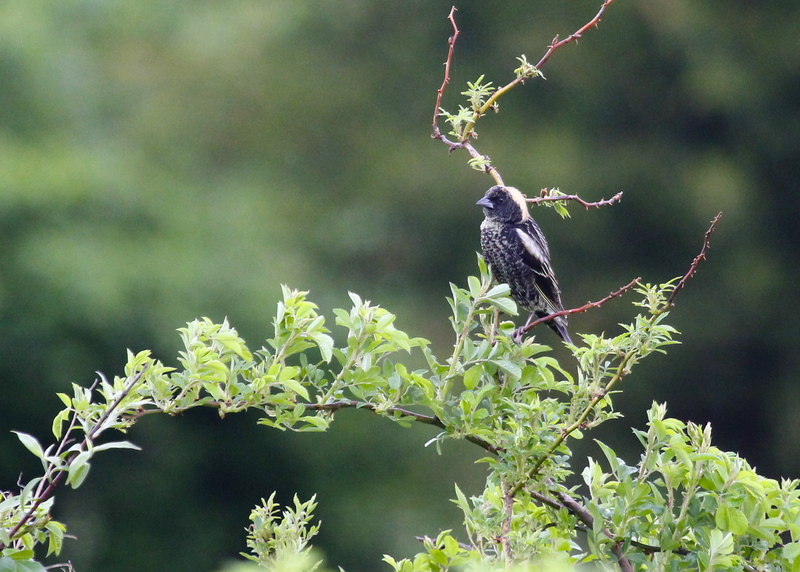 Bobolink out at Wallkill River NWR, 5/11/13. 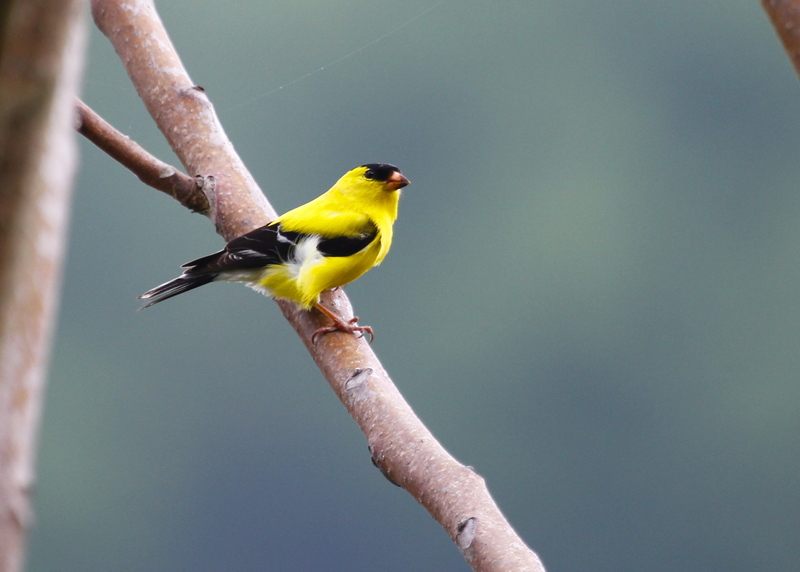 An extremely buttery Goldfinch at Wallkill River NWR 5/11/13. It has been fun and challenging getting back to shooting song birds. 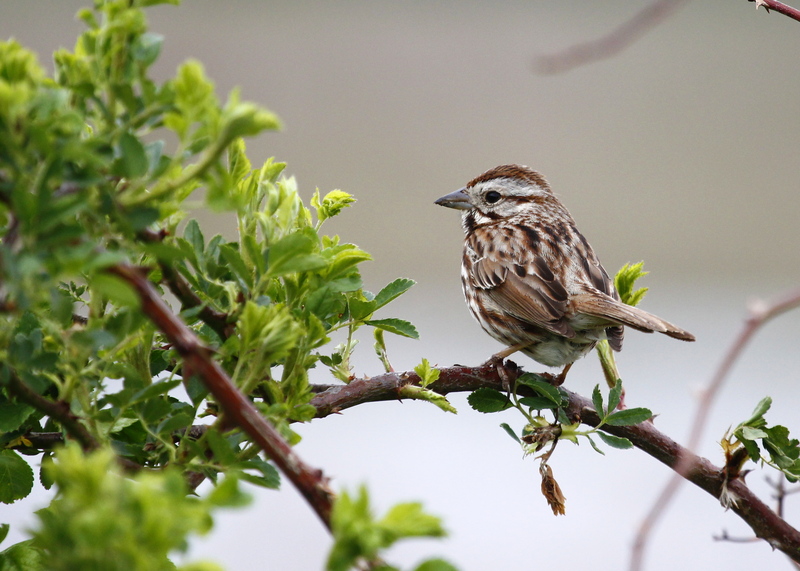 Song Sparrow at Wallkill River NWR, 5/11/13. Tricia and I spent a week on vacation visiting her brother Kevin in Fort Collins Colorado. Although we did a good amount of birding on the trip, the highlight for me was not bird related because Tricia and I got engaged while we were there. We took a hike on Lumpy Ridge Trail at Rocky Mountain National Park, where I proposed and Tricia accepted! It was an incredibly joyful day for me. Huge thanks to Kevin (and friends), I couldn’t have pulled it off without their help. As I said, we did do a good deal of birding on our trip. Below are the top ten photos of birds that where life birds for me on this trip. My criteria for the list combined two major aspects, number one: how exciting it was to see the bird for the first time and number two: the quality of the photograph. 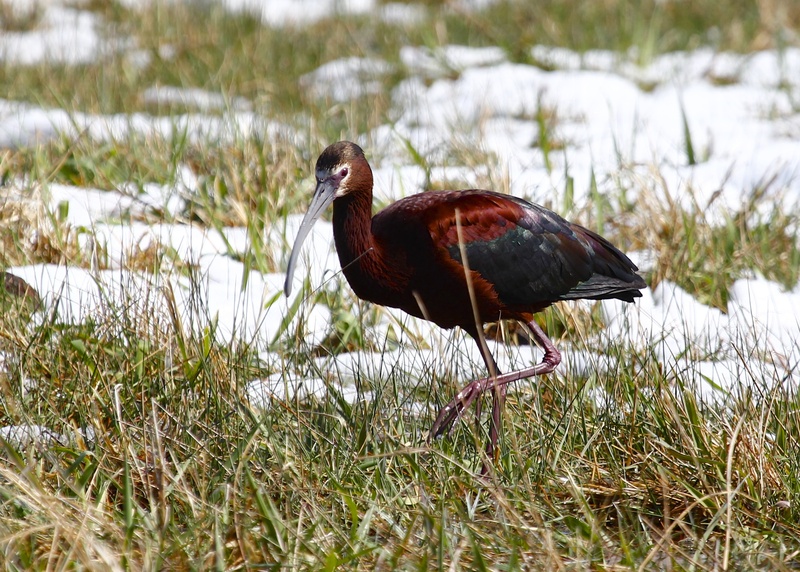 We got an amazing look at this White-faced Ibis near Cattail Pond in Loveland Colorado, 5/2/13. 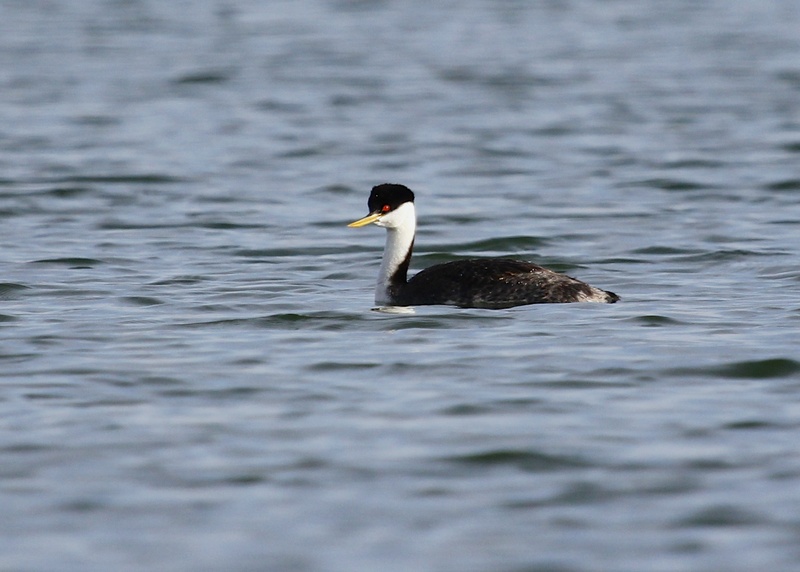 Western Grebe at North Shields Ponds in Fort Collins CO, 5/6/13. 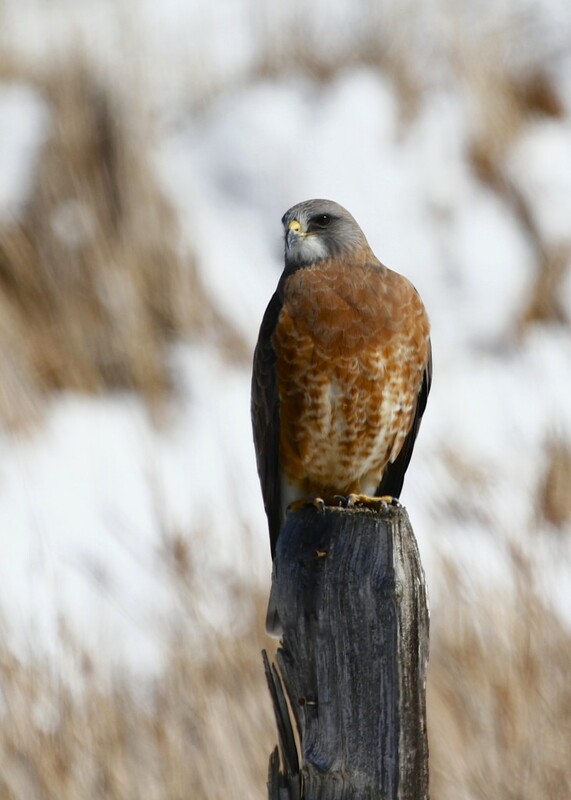 We found this beautiful Swainson’s Hawk on the side of the road in Loveland CO, 5/2/13. 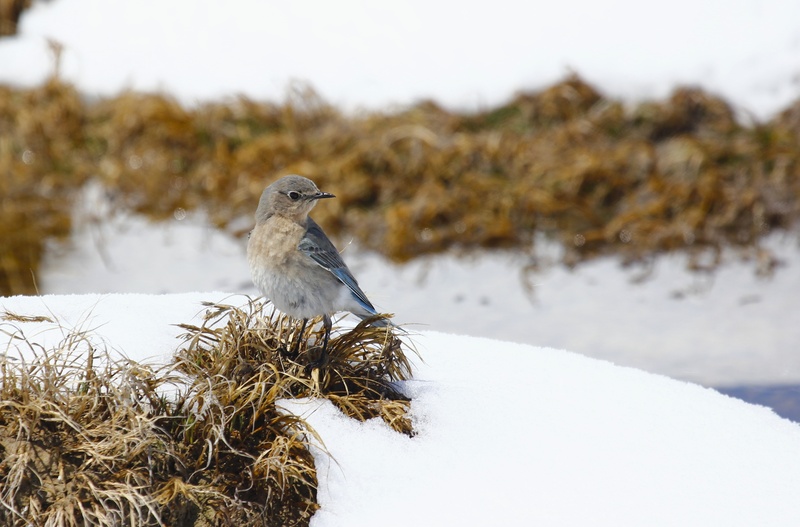 Female Mountain Bluebird on a snowy day at Cathie Fromme Prairie in Fort Collins CO, 5/2/13. 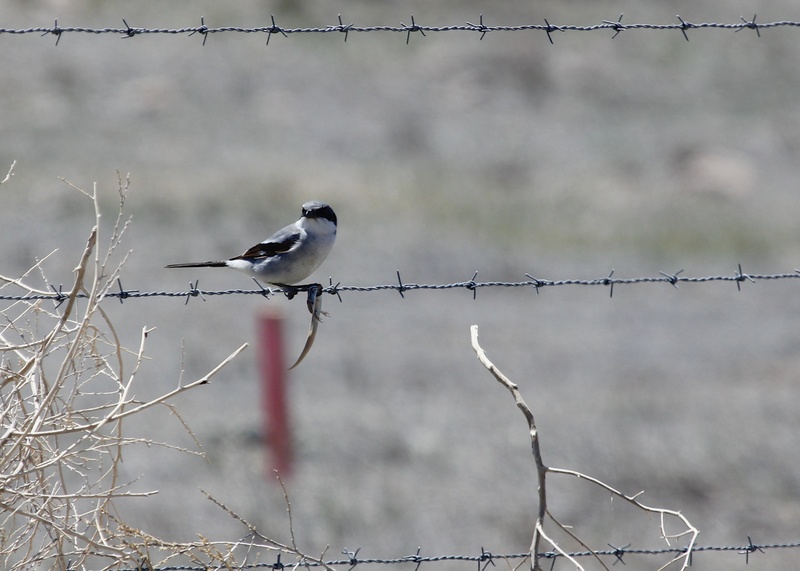 The Loggerhead Shrike was probably my favorite bird of the trip. 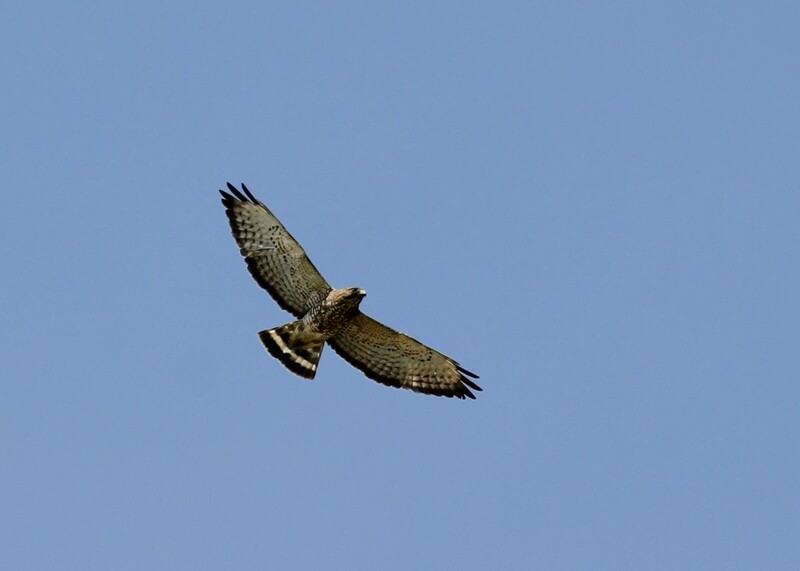 We saw several while we were there, this one (with a meal) was found at Pawnee Grasslands, 5/3/13. 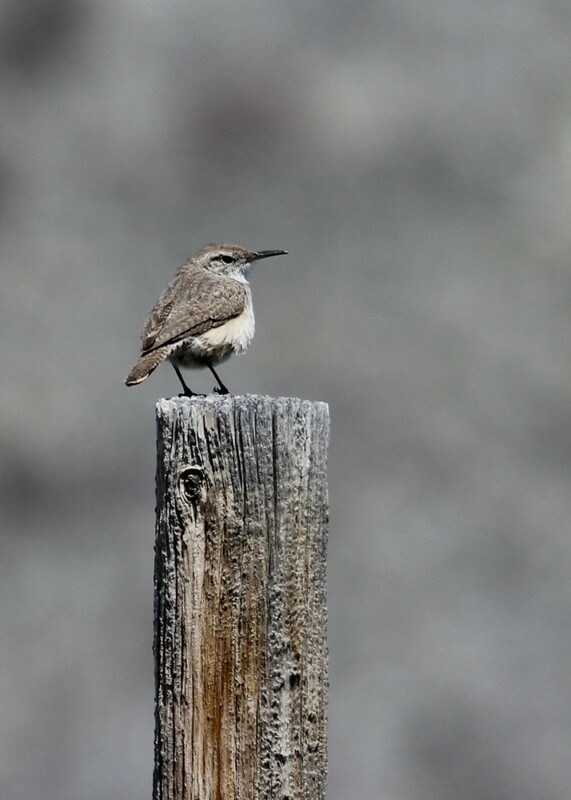 This was an exciting bird for me – Rock Wren at Pawnee Grasslands, 5/2/13. 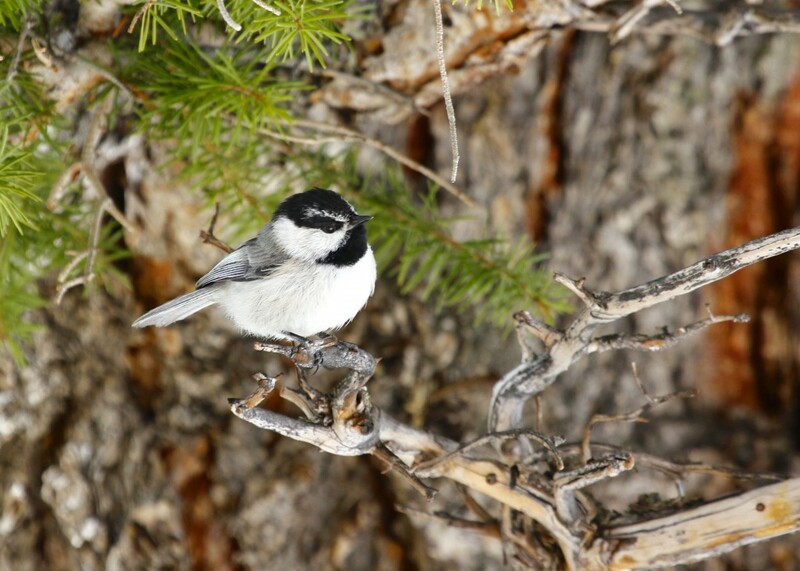 I was waiting to see a Mountain Chickadee, I was not disappointed at Rocky Mountain National Park – Lumpy Ridge Trail, 5/5/13. We saw MANY Western Meadowlarks while we were there. 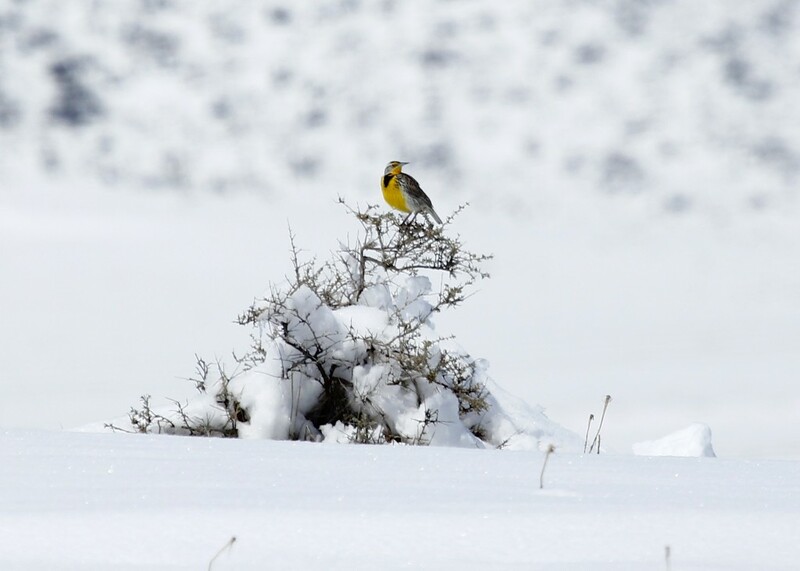 Here’s one in the snow at Cathie Fromme Prairie in Fort Collins CO, 5/2/13. 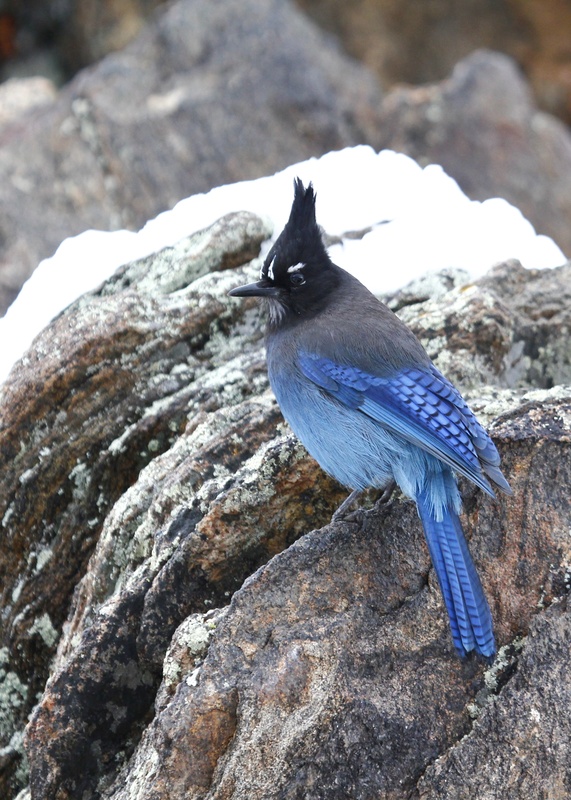 Steller’s Jay at Rocky Mountain NP, 5/5/13. 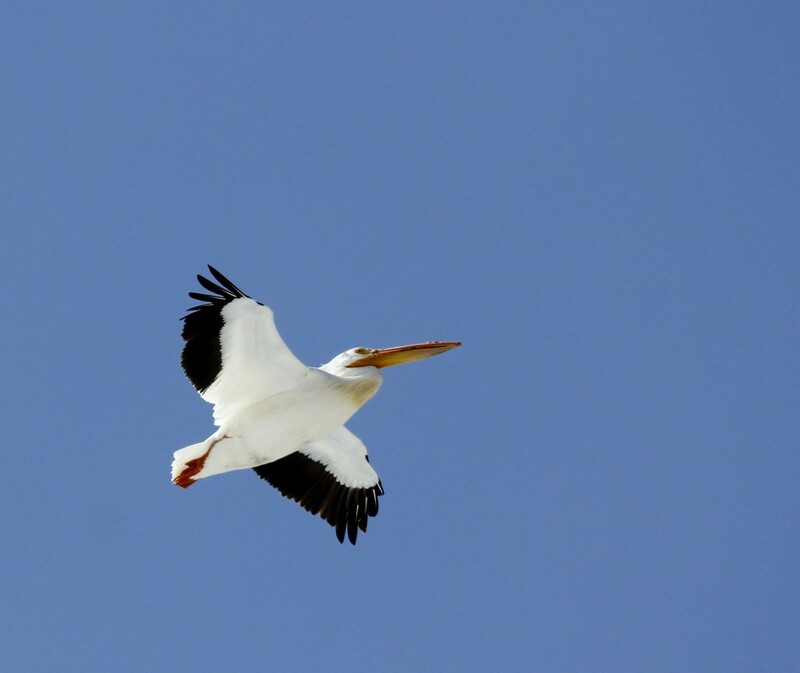 I don’t love this photo, but I didn’t think a top ten from our week in Colorado would be complete without an American White Pelican. Loveland Colorado, 5/2/13. Stay tuned, I will be doing a post of “honorable mentions” shortly. It will include more photos of life birds for me as well as some of my better shots of some more familiar birds.